LUCKNOW: In a fresh trouble for the BJP, one of its allies in Uttar Pradesh the Suheldev Bharatiya Samaj Party, on Sunday threatened to snap its ties with the saffron party if it fails to implement the recommendations of the Social Justice Committee by February 24. “If the BJP does not agree to the demands raised by us, we will definitely part ways with them. If the saffron party does not implement the recommendations of the Social Justice Committee by February 24, then our path would be separate, and subsequently, we will contest all 80 Lok Sabha seats in the state,” Arun Rajbhar, general secretary of SBSP, told PTI. 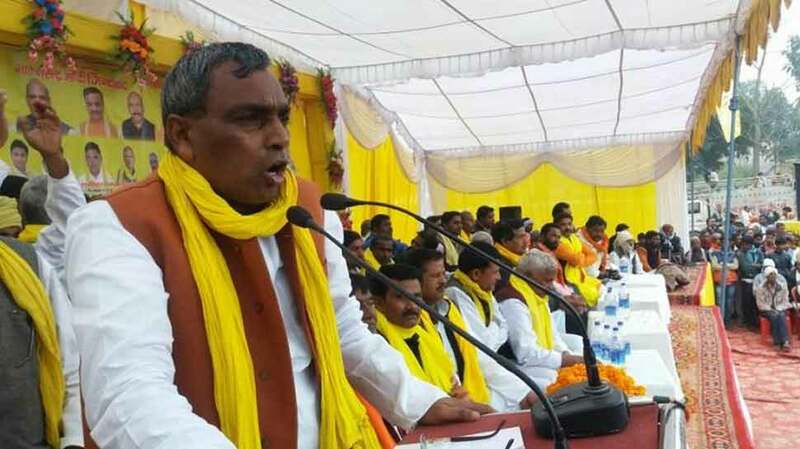 Rajbhar stressed that he was promised by the BJP that it will implement the recommendations of the Social Justice Committee six months before Lok Sabha polls, but the party has failed to do anything in this regard. The committee was constituted in May last year and in its recommendations to the state government it had called for division of backward castes in three categories – ‘pichda’ (backward), ‘ati picchda’ (very backward) and ‘sarvadhik picchda’ (most backward). It is to be noted that backward classes constitute around 44 per cent of the electorate in Uttar Pradesh. On February 6, SBSP said it was “open” to going with SP-BSP alliance in the Lok Sabha poll. “In case there is no headway with the BJP, the option of going along with SP-BSP alliance is open to us.” SBSP chief Om Prakash Rajbhar had then said.